BHAIRAHAWA, Feb 2: Shakti Mineral Pvt Ltd, a 40-million-rupee venture, is set to start its operations next week. The first of its kind in Nepal, the company will produce flux and dolomite – essential material for the production of steel and paint, and aims to export them to the larger Indian sub-continental market. The company is in the final stage of constructing its production plant in the Special Economic Zone (SEZ). The SEZ, after taking a decade for its own construction, is set to finally welcome the first of many plants under its vicinity. The considerable setback for the SEZ to come into operation was due to an acute infrastructural deficiency and lack of law and regulations that are necessary to ease the establishment of firms and production plants in the zone. The company has already stockpiled the necessary raw material, mainly limestone, which is necessary to mold folder steel and is also used in furnaces of paint factories. The production center of Shakti Minerals occupies 28,467 square meter of land. The officials of the company said that it was waiting for Quality Assurance Certificate from the government, something that is required by a company to export its product in foreign economies. Necessary infrastructure like TOT meter and transformers are already in place. The production plant is capable of producing 2000 tons every day, for which it needs 1250 kV of electricity, which it is generating using a generator at the moment. However, situation is not yet favorable for industries in the SEZ. The SEZ authority is yet to provide the production plant with necessary power supply. Previously, by levying tax on capital products used in production operation, the SEZ went against the agreement with entrepreneurs that were looking forward to establish production plants – a move against its own promise. Besides, the SEZ’s inability to ensure power supply has considerably delayed the establishment of industries in the special zone. Despite hurdles, companies are setting up production plants in the zone. Brilliant Lighting, a LED bulb producer, has also started the construction of its production plant within the SEZ occupying two plots of land. The construction is set to be completed within the next four months, and the company aims to start producing soon after that. Similarly, Panchakanya Group is also set to establish a pipeline production plant in the zone. The plot acquired by the group is currently is being readied for construction of the industrial plant. 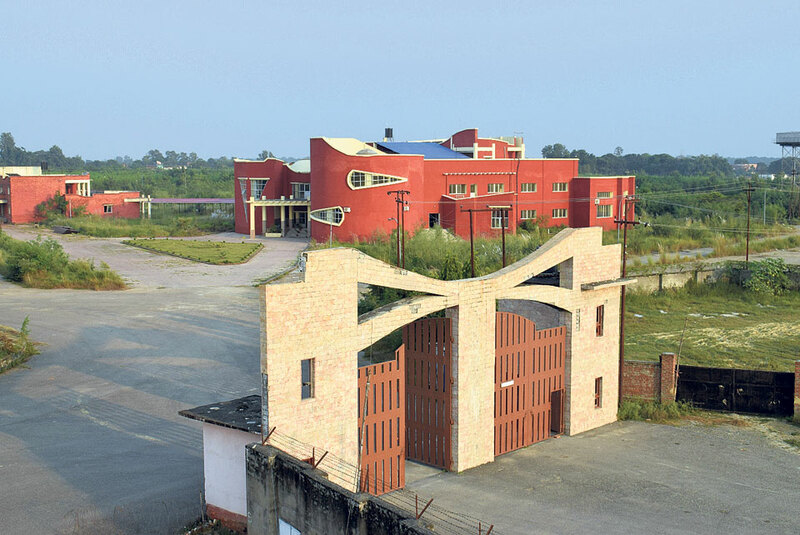 The SEZ, situated in Rohini Rural Municipality of Rupandehi district, is spread across 70 acres of land and houses 69 plots varying in sizes from 1,400 meters to 3,700 meters. Out of the 69 plots available, 48 plots have been purchased by 28 companies. Other infrastructure such as public toilets and treatment plants are already in place. Industries operating within the SEZ will receive benefits such as tax break in the first five years of establishment and a 50 percent tax break after five years; a break from tariffs for raw materials; guaranteed 24-hour power supply; improved credit terms; and access to more convenient government processes. However, the establishments in the SEZ are required to export at least 75 percent of their product that conforms with the vision of government to strengthen export sector of the Nepali economy.